Holiday shopping for kids can be a real dilemma. Give them clothes and they may turn up their noses. Give them the latest video games and you might not see them for a month. Or give cash and they are likely to spend it on clothes and video games, and not necessarily the ones you would have selected. You want to make them happy, but you also want to give them something more meaningful, like the thrilling experience of a rockin’ good time at Rockin’ Jump, The Ultimate Trampoline Park. Put a smile on their face and some pep in their step by giving the gift of good, clean fun with a Rockin’ Jump Gift Card, a real win-win-win for everyone. Kids love it for the high-flying excitement, parents love it for the healthy exercise, and Rockin’ Jump Gift Card givers love it because it makes everyone happy. Not only do those who give a Rockin’ Jump Gift Card get the warm, fuzzy feeling of giving a well-received present, they also get something special in return. Now through Dec. 31, Rockin’ Jump is offering bonus gift card credits for every card purchased. Buy a $25 card, receive a $5 bonus card. Purchase $50 in gift cards and get a $10 bonus card. The more you buy, the more you get for free ($100 purchase gets a $25 bonus card; a $150 purchase receives a $35 bonus card). Pass the freebies on to the people on your shopping list or use the bonus cards for yourself. Who wants to go shopping when you can go hopping? Rockin’ Jump Gift Cards are as easy to purchase as they are fun to use. Simply buy them online, or stop by your local Rockin’ Jump location to pick up the perfect present. Gift cards are redeemable at any of our locations around the globe. Recipients can use them over the holiday season to take advantage of their holiday break out of school, or save them for a rainy day when the kids really need to burn off some energy. Kids will thank you on Christmas Day, and they will thank you again later when they get the chance to bounce into Rockin’ Jump. No one has more fun under one roof than Rockin’ Jump, which elevates kids’ play to the next level. Featuring a broad array of trampoline-powered play stations, Rockin’ Jump has something for all ages, interests and ability levels. The safe and spacious Open Jump Arena and Stunt Bag offer high-flying fun for everyone, especially those looking to test out some new gymnastics maneuvers on the forgiving padded surface. Individual-sports enthusiasts can test their skills on the Vertical Ops rock-climbing wall and the Ninja Challenge Obstacle Course, while stick-and-ball athletes love the X-Beam Jousting Pit, soft-toss Dodgeball Arena, and the Slam Dunk Zone, where the little ones can dunk like the pros. One of the best reasons to give a Rockin’ Jump Gift Card for Christmas presents is that the giver can share in the experience. 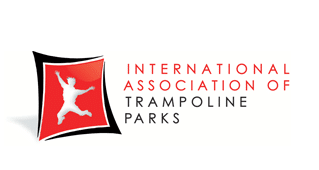 Adults feeling up to the challenge are welcome to join in the jumping for some family bonding time, or parents and grandparents can relax and watch the little ones have all the fun from the safety of the sidelines. Better yet, enjoy food and drinks at the adjoining Rockin’ Cafe while you mingle with other grownups, take advantage of the free Wifi , or watch your favorite show or the children laugh and play via closed-circuit television. After the kids take a break from having a bouncing good time, order have a family pizza party for some additional hang time at the Rockin’ Café before they recharge and return to the arenas. Lucky recipients of a Rockin’ Jump Gift Card can use it for more than just jump time; they are also good for any of the many refreshments, merchandise items and extras we offer. Gift cards may be used to purchase our popular apparel and gear, like the specially designed Rockin’ Jump socks with added traction for safety, and T-shirts, hats and other items bearing our trendy, trademarked logo. All that physical activity can build up an appetite and thirst, and Rockin’ Jump Gift Cards can also be used to purchase food and drinks from our Rockin’ Cafe, like our fresh-from-the-oven pizzas or refreshing beverages. Or you can give a Christmas and birthday present in one by applying a Rockin’ Jump Gift Card to one of our party packages for a future birthday celebration. Rockin’ Jump Gift Cards make it easy and simple to cross off all the fun-loving thrill-seekers on your shopping list. Save yourself a trip to the mall and give your loved ones what they really want to see under the tree this holiday season – a Rockin’ Jump Gift Card. It’s a present that is sure to make them jump for joy.